The outer side maybe reveal something that draws one’s interest. But a beauty within surely would attract every single awareness around. Something we just wanna hold those kind of miracles source, and never let it goes. But there is a moment where one just can’t hold neither grasp a moment for what would be believe as a world beyond dreams. Someday one maybe shall come again, but surely not this day. Just not today, and shall let them wait for a little longer. dulu aku pernah liat anggrek yang indah banget pas tugas ngelewati hutan. 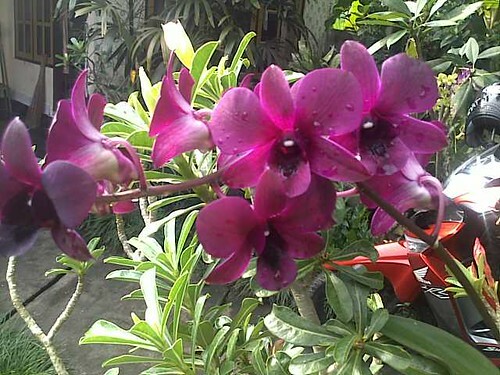 sayang pas balik malah lupa mau ngambil…..
Ada apa dengan postingan bunga yang cantik itu?